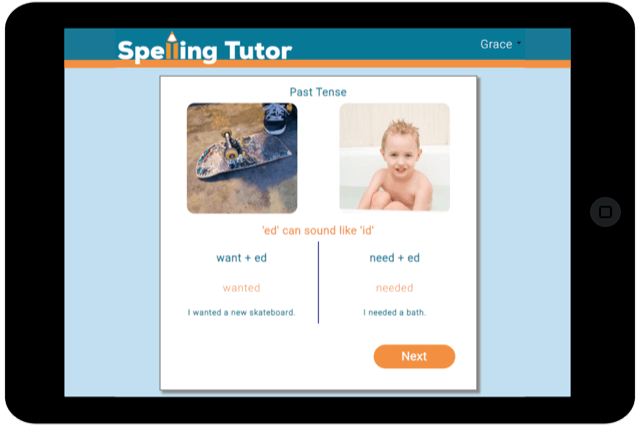 The scientific research on how we learn says the best way to retain information is through Spaced Repetition - practising the same word over and over, with larger and larger gaps between repetitions. 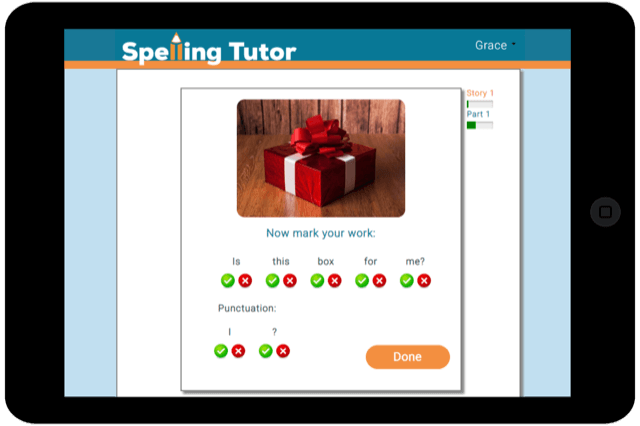 However this is not practical in a classroom situation, and even 1:1 it is very hard to work out which word should be practised each day. 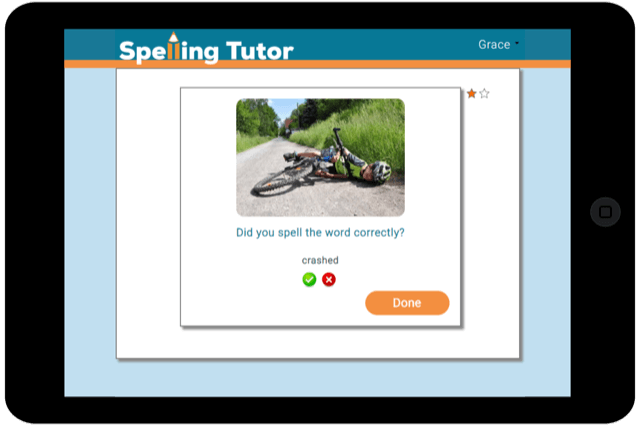 That is why we created Spelling Tutor. 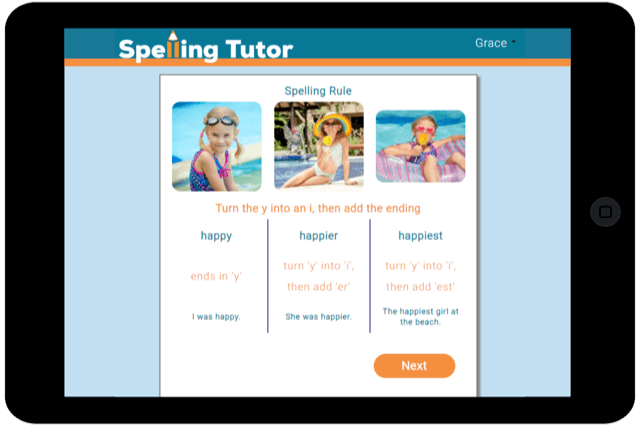 Spelling Tutor is designed to be used with target groups of children who are under achieving in spelling. 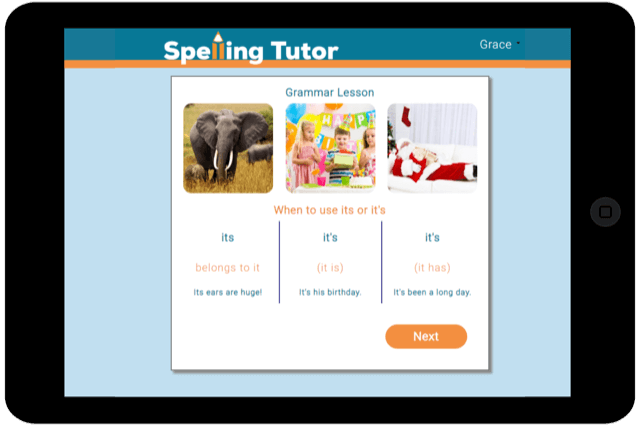 Children use the computer program for 10 minutes daily (they also need a mini whiteboard/ scrap paper to write on). 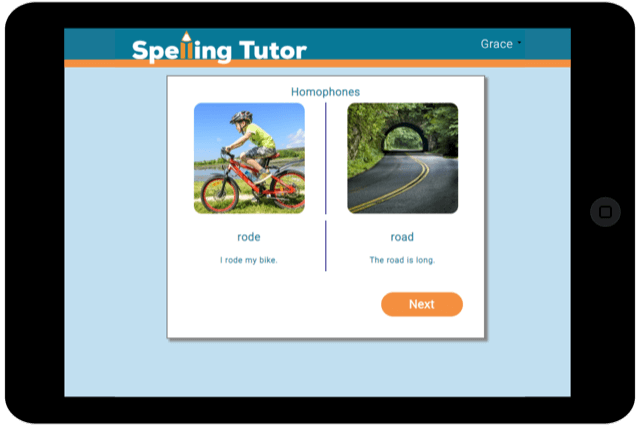 Spelling Tutor can be used on iPads or PCs. 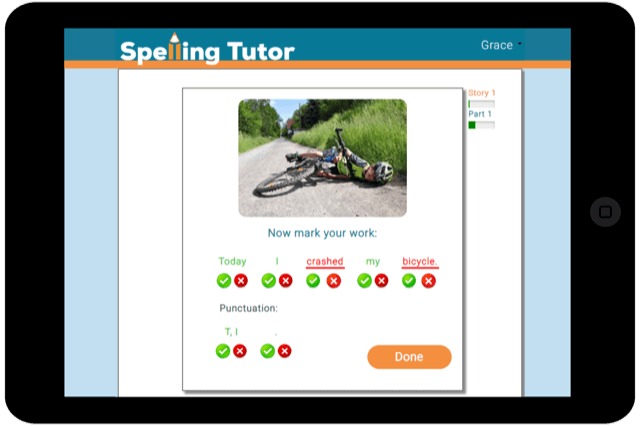 How is Spelling Tutor different? £200 per year for a whole school license. 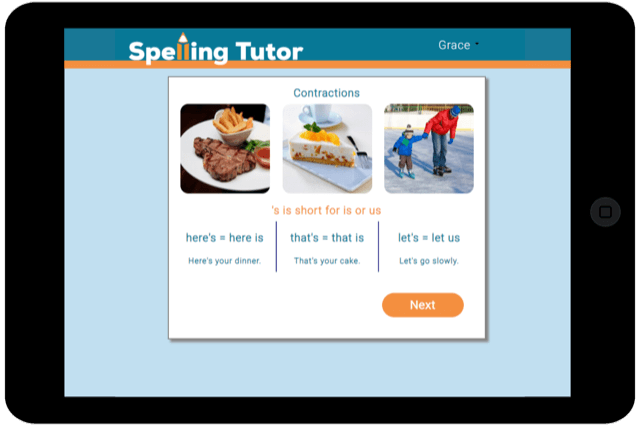 This covers all pupils on roll, and they can play at school or at home.